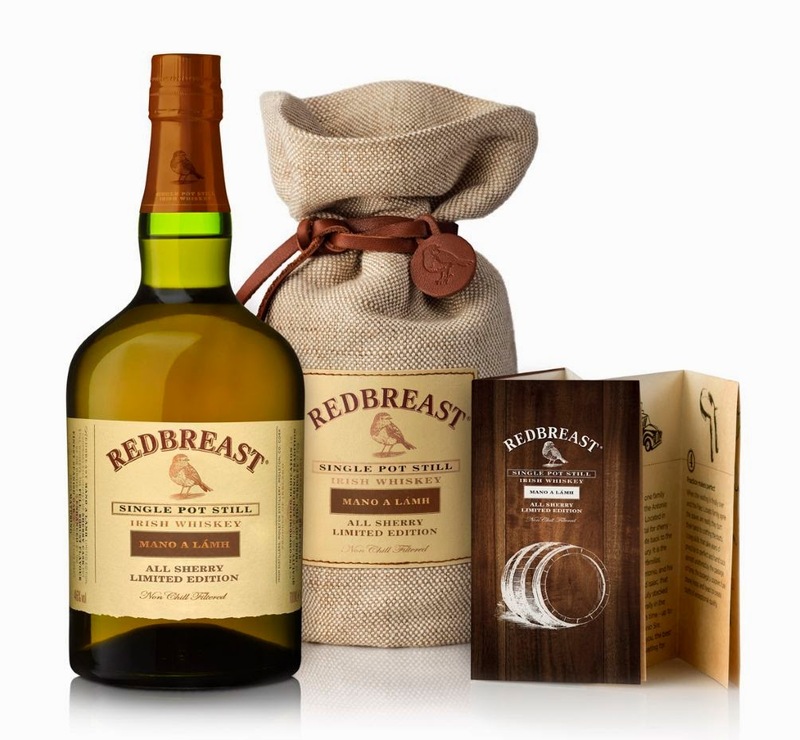 Midleton Distillery is drawing attention to sherry cask maturation with its latest release, Redbreast Mano a Lámh. There are two 'hand's in that name, one Spanish, one Irish, linked across Europe by the journey those casks take. The oak grows in the forests of Galicia and Cantabria in the north of Spain and is crafted into casks at the Antonio Páez Lobato cooperage in the south. They then spend two years at one of several bodegas, filled with oloroso sherry, before being emptied and dispatched promptly to Midleton for immediate refilling with spirit. Sherry butts are big and expensive, and Midleton imports only 4,000 to 5,000 of them each year (compared with 125,000 bourbon casks). But the whiskey matured in them has a huge influence on many of the brands that Midleton produces, including Jameson. Besides contributing a rich hue to the spirit, sherry casks add notes of dried fruits, cinnamon, nutmeg and berries. I can't think of a prior all sherry-matured whiskey from the new Midleton distillery and, having sampled such spirit straight from the cask on several occasions, I can understand why. The sherry is overwhelming. Many of my whiskey-drinking colleagues love those big sherry flavours, however, and have been agitating for just such a release. Their wish has come true with this new Redbreast. There is a limited quantity - just 2,000 bottles - and it's only available to members of the company's Stillhouse website (membership is free). I'm as curious as anyone to try it so I've already bunged in an order. At €65 a pop, I think this will sell out in no time. It's nice to have something unusual on the shelf, a talking point. It was an exciting challenge as a Master Blender to work on this project; having to ensure that the right balance was achieved and the sherry contribution did not over power in the final taste. I'd love to know what means were employed to restrain that sherry. I remember on the Mitchell & Son website, way back, they noted that their original Green Spot whiskey was a vatting of oloroso and other dark sherries with lighter finos. Wine importers like Mitchell's and Gilbey's (the original owners of the Redbreast brand) were bringing in all types of sherry by the cask and refilling with fresh spirit from the Jameson distillery. Midleton doesn't have a range of sherry types to play with, just the oloroso, and they are all first-fill casks for this release so there are no punches pulled there either. The new Redbreast lacks an age statement so perhaps the incorporation of younger whiskey lightens the effect. Very deep dried fruits, raisins and sultanas with the more earthy tones of fig, dates and prunes. The sweetness is from the fruit and balances perfectly with pot still spices such as dill and black pepper, and the contribution of the toasted Spanish oak. Silky smooth and deceptively sweet, full of rich, ripe, dark fruit with the leisurely emergence of the signature spices. The rich fruit slowly gives way to the perfection of the Spanish oak.